Good Evening Beautiful 1's and Crafter's Hope you are all doing well. Thanks again for stopping by.. I am here again with another Christmas Challenge # 2.. 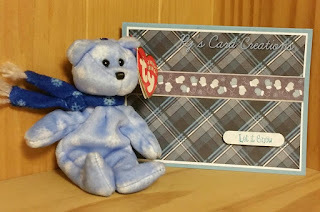 I am enjoying making my card's and challenging myself to use my stash and not purchase anything to do so.. Thanks so much for your time I know You have many choice's and I appreicate your time..